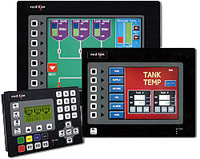 We have a full range of operator interface panels to give you complete HMI functionality for PLCs, motor drives and other communications-capable devices. Please contact the office for applications advice and demonstrations. We specialise in the supply, maintenance and programming of obsolete PLC including Mitsubishi, Toshiba, Allen Bradley, Omron and many other well known manufacturers. Contact us for details or a site visit. Configured using Crimson 2.0 Software. Powerful 32-bit Cold Fire Processor. Configuration and Firmware are Stored in 8 MB of Non-volatile FLASH Memory. 3 inch 6 inch, 8 inch & 10.4” 256-color 640x480 TFT Displays. Dedicated MENU Key and 7 Soft-Keys. Integrated Protocol Converter. Up to 5 RS-232/422/485 Serial Ports 10-Base-T/100-Base-TX Ethernet Port. Remote Web Access and Control Facility. USB Port for Configuration Download. NEMA 4X / IP66 Front Panel. 24V DC Operation. 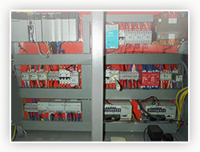 Design, build, installation and commissioning of PLC, HMI and process control systems. Contact the office on application. Supply and set up of 3rd-Party Integration Kits which offer a way to connect to third-party automation systems such as Modbus ® and Allen-Bradley Data Highway ®. 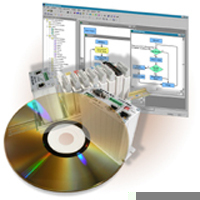 PLC and PC hardware/software engineering from software modifications to complete system supply. 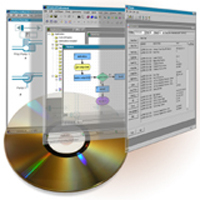 SCADA system design and configuration including Factory Floor legacy software.